Originally from Sarajevo, Bosnia, Boris lived as an immigrant in the US and Canada for several years before coming to the UK to study law. Having had an inclination to fight for justice from an early age while defending school classmates from bullies on the playground, and inspired by his experience of the war in Bosnia (where he spent two years under siege in Sarajevo), he decided to study law while living in the US and observing the injustices of the Bush Administration’s ‘war on terror’. He graduated from University College London in 2007 (LL.B., First Class Hons.). After relocating due to UK immigration status, Boris returned to the US in 2010 and worked as a paralegal in a small industrial injury outfit in Tacoma, Washington, where he handled his own caseload of 60-70 industrial injury claims. He worked mainly with clients from underprivileged groups, including immigrants, ethnic minorities, and women in male-dominated manual labour professions. In 2014 he returned to the UK and volunteered with Amnesty International’s Balkans Team while doing various freelance work and applying for scholarships and training contracts. At Amnesty he did research and monitoring to support a range of campaigning projects including the forcible eviction of Roma settlements, discrimination, police brutality, war crimes reparations, as well as ethnic minority, LGBT, and migrants’ rights. In 2015 Boris secured a full fee scholarship from The City Law School to take the LPC. Upon graduation he worked as an outdoor clerk for Deighton Pierce Glynn (DPG) while also volunteering at the Islington Law Centre, working with a housing solicitor on a major discrimination case. He was eventually offered a paid internship at DPG, working on a range of public law and human rights cases including pensions discrimination and abuses in immigration detention. Prior to being offered the Justice First Fellowship he worked as a paralegal in the clinical negligence department at Leigh Day. 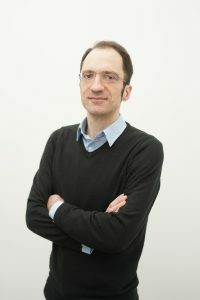 Boris was particularly inspired to train as a solicitor with a multi-disciplinary organisation whose work and values closely match his own values and long-term career goals, devoted solely to fighting for civil liberties and human rights and undertaking ground-breaking work on behalf of underprivileged clients. In addition, on a professional level he has found public law to be one of the most dynamic and exciting instruments in the fight for social justice. The National Referral Mechanism was introduced in 2009 to meet the UK’s obligations under the Council of Europe Convention on Action Against Trafficking in Human Beings, by identifying potential victims and helping them access support. Liberty has given briefings on the subject, taking on cases and interventions as well as campaigning which contributed to the passage of the Modern Slavery Act 2015. A number of NGOs are now providing a wide range of specialist support to victims of trafficking. The NRM Interim Review in November 2014 made a number of recommendations, few of which have been implemented so far. Most victims (especially non-asylum cases) have no access to legal aid (but the case law in this area is evolving and Liberty is in a position to make a contribution). Identifying and pursuing test cases and other ways to address the gap in legal aid, in particular for non-asylum immigration cases and navigating the NRM.